We would like to introduce you to the most scientifically advanced facial, designed to elevate, rejuvenation of tissue, skin tightness, natural contour and shape of the face, is non surgical using plant stem cell extract from Gardenia Grandiflora Flower. The unprecedented result with this next generation facial empowers the skin to act up to “15 years” younger where multiple signs of visible and non visible aging is dramatically reduced. Stem cells are unique as they are the precursors to all other cells within the body. They have the ability to replicate rapidly and plays a huge part in the body's healing and rejuvenating process. our levels of collagen, elastics fibers, and hyaluronic acid that holds water in the skin. Due to this, there is a decrease in cell reproduction levels and reduction in the skins moisture, this then produces fine lines and wrinkles also elasticity decreases and skin starts to sag. A stemcell facial rejuvenates the cells to allow the skin to act up to 15 years younger. Prior to arrival, your skin should be clean and free from makeup to ensure accurate results. State of the art skin analyser measures 8 different skin conditions and gives detailed analysis and diagnostic report on the current condition of your skin. A personalised skin care programme is tailored to your skin type and skin concerns. This procedure involves micro needling of the skin paired with the application of a stemcell serum. 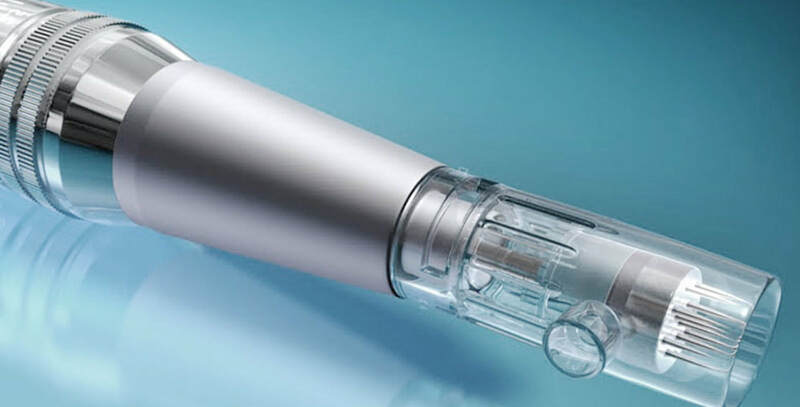 Using 5 in 1 anti-aging device, Radio Frequency (RF), Electrical Muscle Stimulator (EMS), Mesoporation, Electroporation and Light Emitting Diode (LED) for deeper penetration of stem cell serum. This 24-carat gold leaf is the height of the luxurious stem cell facial which amplifies all the process so far. With finishing this treatment a luxurious Celleffect 24 Complex eye cream and regenerative stemcell nourishing face cream elixir is applied to dramatically reduce the skins appearance up to 15 years. To complete your treatment a follow-up skin analysis is carried out to see the restorative regeneration of the stemcells 48 hours - 7 days later. This is for the recommendation to determine whether you require any further treatments.